In the latest alpha patch three new pets were added to the Pet Journal. The Ghastly Kid is currently listed in the same category as wild pets, however a specific battle pet is also mentioned — Eleanor. 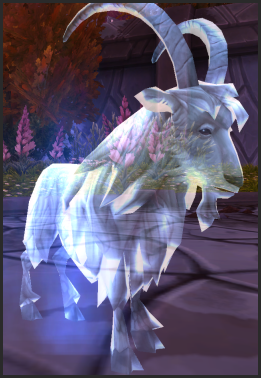 Last week LeCraft revealed that this will be a "pet battle boss" but perhaps players will also be able to collect ghostly goat of their own. This particular NPC (pictured right) is the namesake of collector and battler Eleanor Wroblewski, whose handle on Twitter is @undeadgoat. Although the model is more of a ghost, it still certainly doesn't look like it's of this living world! 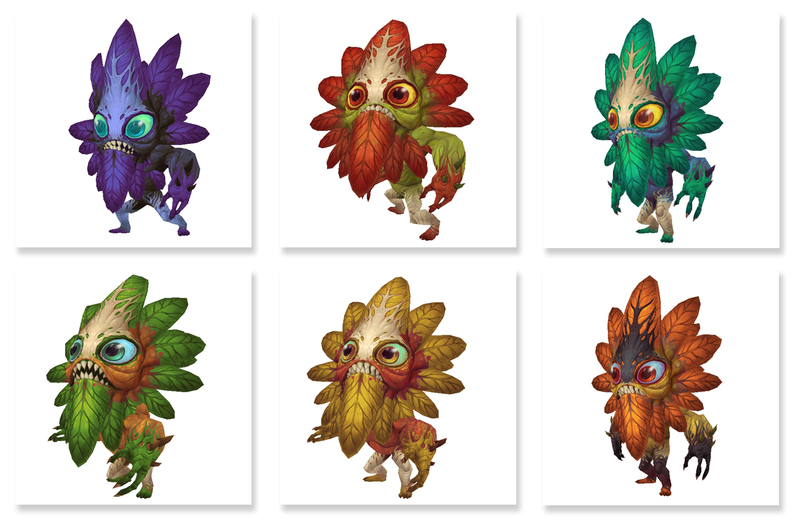 The six datamined sproutling pets received an update in the Pet Journal. They currently use the models and colors that we mentioned in April. From top left to bottom right: Nightshade Sproutling, Sassy Sproutling, Kelp Sproutling, Forest Sproutling, Sun Sproutling, and Authumnal Sproutling. It's still unclear where these pets will come from, however they share a similar model to the Podling creatures of Draenor. But unlike their smaller counterparts, the Podlings aren't interested in being collected so traveler beware!